Hey you guys! How’s your week going? Did you read my last post? Well, I figured out a solution to my new found love of whites and neutrals. 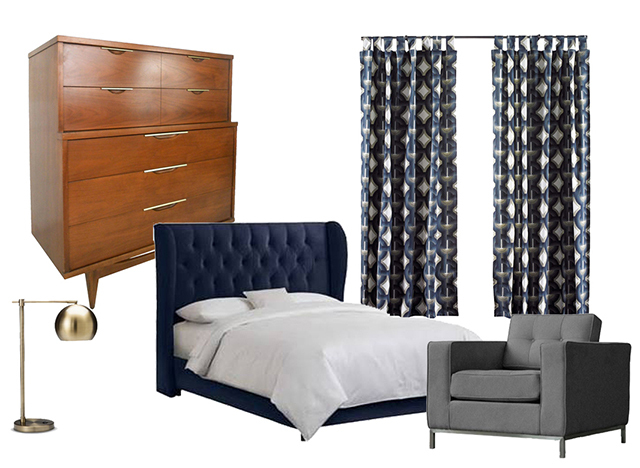 I’ve teamed up with Decorist to knock out my guest bedroom makeover. It’s been on my to do list, but I just wasn’t sure exactly how I wanted it to look. If you haven’t heard of Decorist, you should. I found them about a year ago and have been watching them grow and basically change the interior design industry as we know it. By working virtually with a professional interior designer, they will help you take your room from now to wow with just a point and a click. No longer shall we hear, “I would love to hire an interior designer, but I can’t afford one” because Decorist takes your room and redesigns it to perfection for just a small fee. While perusing Pinterest, I recently came across a new bedding company called Parachute Home, and the caption under the image was “What do you love about your bedroom?” Hmmm, do I love my bedroom? Well, that’s a really good question. Not really. 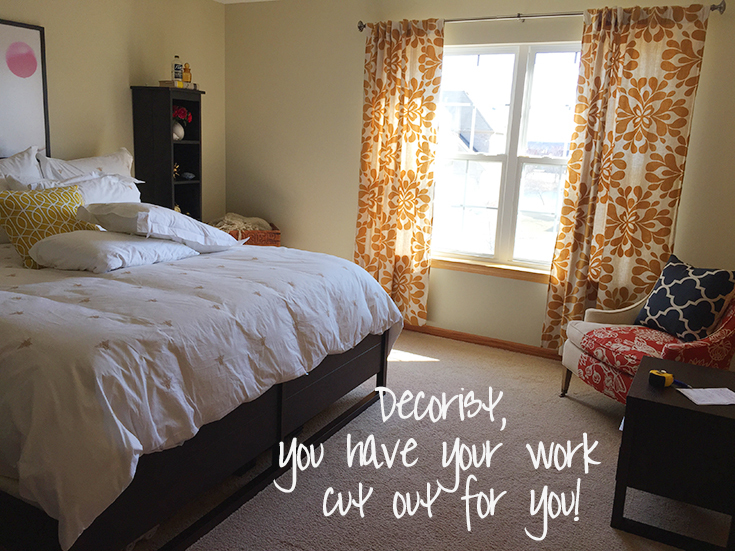 Well, not now anyway, but I will…as soon as I finish this bedroom makeover. We moved into our home over 4 years ago, and I’m finally getting around to the designing and styling this space. I mean sure, we purchased some nice bedding and a new Tempur-Pedic mattress right away to make it feel fresh, but I chose to focus my design efforts more on the main floor. A space that my guests would see. Do you guys ever get all gungho about a home decor project, get frustrated, have a freak out session, and then procrastinate? Erm, please say yes. Please tell me I’m not the only one with my head in the sand. See, a long time ago, I posted a picture of the state of my master bedroom. It was one of those before shots that I said may never have an after. I was keepin’ it real. That particular post was actually the start of the “I Make Emily Henderson Cry” series. A couple weeks ago, I received an email regarding that post, and I was asked to see an after. Very exciting, so let me tell you, this project (and the pressure) is on. It has to be perfection. Utter and complete perfection. I found some base pieces that I’m absolutely loving, and I’ve asked my girl Jennifer Harrison AKA @FleaMarketFAB for some design advice. I mean, let me tell you, thank god for Instagram. That’s how we met see, we were both featured in this Domaine Home Instagram Challenge post, and the rest is history. We’ve been IG besties ever since. If you don’t follow her fantastic feed, you must. Stop what you’re doing right now and go check her out, but come back because I need some advice. Still with me? Cool. Anyhoo, back to this bedroom makeover madness. I have a few base pieces, but when chatting with Jen, she said it might be a bit too masculine. After feeling a tiny bit crushed, I’m going to have to wholeheartedly agree with her. I think it’s a one way road to Testosterone City and Colin Farrell is mayor. Not that that is a bad thing, but no wonder The Boy likes it so much. What’s up bro. Fist bump but in a classy kinda way.